Integrated Services Boca Raton | CSI International, Inc.
CSI International, Inc., founded in 1989 with its headquarters in south Florida has been providing exceptional service for over 23 years by surpassing our customers’ expectations offering Integrated Services to customers in real estate, property management, pharmaceuticals, telecommunications, higher education, manufacturing, and insurance. CSI International, Inc. owners, Jayne and Geoff Hammond, have over 30 years of experience in the Integrated Services field. After 19 years of managing building operations for a Fortune 20 company, the Hammonds’ left the business world and started CSI. Their plan to achieve their goal was clear and concise: "Say what we will do, do what we promise and have available for the customer objective evidence of what’s been done”. The success of their efforts is apparent in the growth of CSI from 12 employees in 1989 to over 1700 employees currently managing buildings as small as 100,000 sq ft to as large as 3+ million sq ft in Boca Raton. CSI’s growth has been accomplished by: Our impeccable reputation, Outstanding customer references, Replies to Quality Survey’s, and Glowing testimonials. Throughout CSI’s constant growth and advancement, our primary goal, exceeding our customers’ expectations has continuously remained unchanged. CSI prides ourselves in our incomparable reputation for economical solutions and responsive services with relentless quality. What began two decades ago as a simple, family-owned Janitorial Company is now a booming family-owned facility services provider offering a full range of Integrated Services to owners and operators of commercial facilities. Green Cleaning is described as “Cleaning to protect health without harming the environment” - Executive Order 13101. 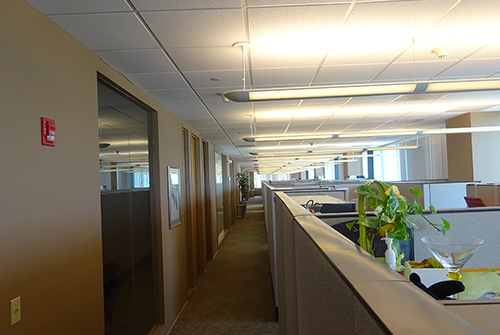 CSI International, Inc. is devoted to providing a clean and healthy working environment for all our employees and your building’s tenants. In 1992, former President Bill Clinton issued this presidential Executive Order 13101 which directed the building managers of more than 100,000 federally owned or operated buildings globally to start the use of green cleaning products. Executive Order 13101 also clarified what green cleaning is for the first time, stating that green cleaning is the “use of products and services that reduce the health and environmental impacts compared to similar products and services used for the same purpose.” Green cleaning now means the most favorable use of products that reduce indoor pollution while reducing environmental pollution and favor renewable materials. Maintaining of a healthy environment is the shared task of supervisors and employees at all levels of the CSI company. Every employee is trained and held responsible to reach the goal of reducing the exterior’s role on the local territory and to emphasize and execute environmentally safe, low impact cleaning chemicals and procedures. CSI comprehends that the principle of stewardship-- "the obligation for managing, monitoring the quality or conducting, state or condition of a business or institutional structure"- is essential to the green cleaning viewpoint and essential to the success of our green cleansing program. CSI is dedicated to follow a set of stewardship concepts that have been developed by pioneers of the green cleansing motion. These concepts will assist in our efforts to be great stewards of the buildings we service, their residents, our employees, and the total environment. Clean for health first and appearance second, Decrease human exposure to contaminants and cleansing items, Recognize cleaning as an ecological health advantage, Commit to occupational advancement of cleansing personnel, Interact the value of healthy buildings, Reduce moisture, particle and chemical residue when cleaning, Ensure employee and occupant security, Contain and decrease all contaminants getting in the building, Dispose of cleansing products in ecologically safe methods, Develop and record routine maintenance schedules.